It’s time to clear up the rumours and myths. Despite being one of the most effective forms of reversible contraception, many women do not consider IUDs, due to fear and miseducation. Let’s set the record straight: IUDs do not increase the risk of pelvic inflammatory disease or cancer. Rates of pelvic inflammatory disease are comparable between women who have and have not had an IUD, and using an IUD actually decreases the risk of endometrial cancer. IUDs do not cause infertility. All evidence supports the fact that fertility returns immediately upon removal of the device, which is easily done. IUDs can be used by women of all ages as a contraceptive, whether they have had children or not. In summary, an IUD is a safe and extremely effective option for most women, as there are very few contraindications for its use. 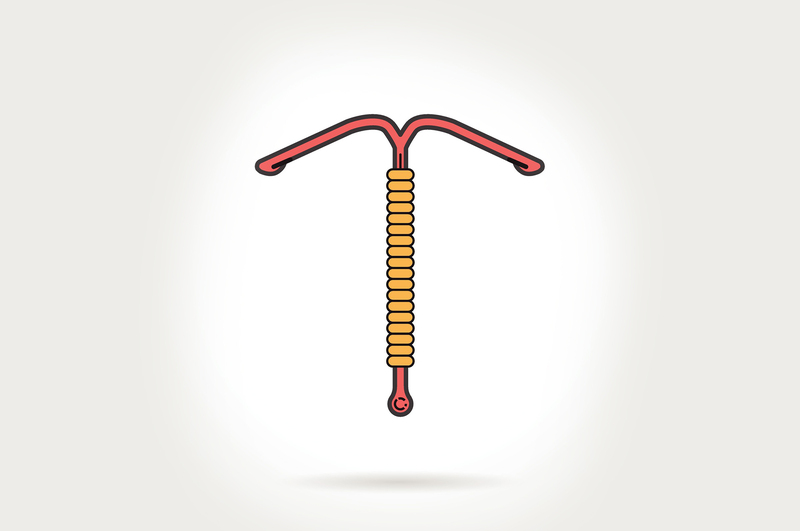 There are two types of IUDs on the market: copper and hormone releasing. Copper IUDs are inexpensive and long lasting (up to 10 years) while hormone releasing IUDs are expensive and have to be replaced more frequently (every three to 5 years). It is normal to have heavy bleeding, cramping and spotting in the first three months with a Copper IUD. As time passes, periods won’t be as heavy or painful, but they will remain regular. The hormone releasing IUDs typically cause irregular spotting for the first three months, with periods decreasing in blood flow and pain as time goes on. After one year of use, up to a third of women using a hormone releasing IUD report that their periods have stopped. For this reason, hormone releasing IUDs are often recommended for those who suffer from endometriosis and dysmenorrhea. The insertion of the device can be uncomfortable but the pain is short lived. Both types of IUDs are low maintenance, requiring you to perform a monthly check to ensure it is in the correct position, and a yearly checkup with your health care professional.